I paired it with a faux yellow leather and Voila!!!! 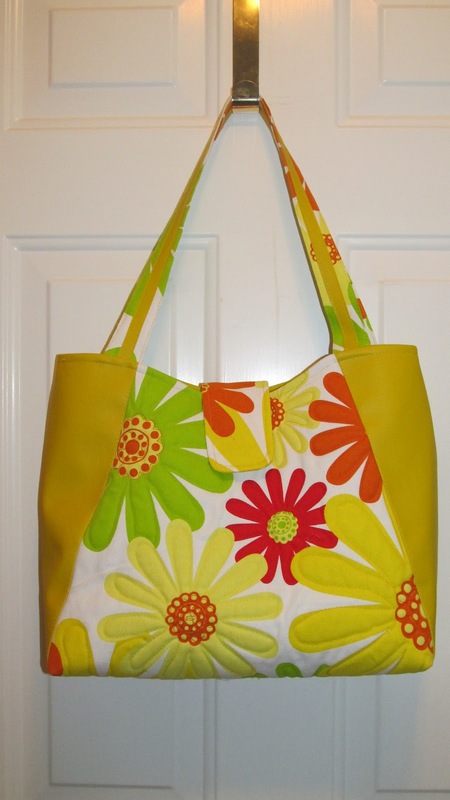 It has one large zippered pocket and one small zippered pocket. Lots of room for everything. I hope I sell it at the Artist Sale this week-end. But not this afternoon - we have a hailstorm! Very summery - and I'm sure you will sell it with no problem at all!